The 2016 biennial list from Bicycling.com shows Cincinnati ranked 36th out of 50 bike-friendly US cities. The ranking is determined by variables such as the number of bicycle facilities, bicycle-friendly businesses, bike-share programs, and the length and safety of infrastructure, amongst others. 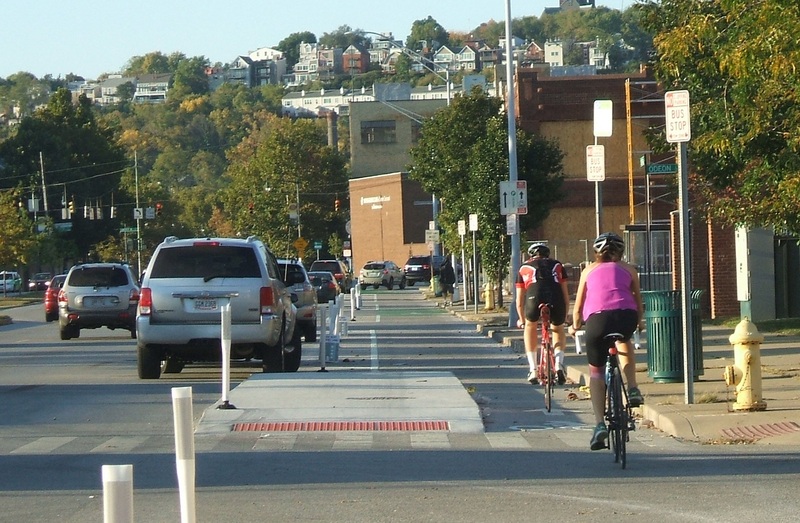 This year and since 2014, Cincinnati has seen a dramatic increase in bikeability, due to Red Bike and the Central Parkway bike lane, being hailed the 3rd fastest growing biking community in the US. Even with our successes, Cincinnati has fallen from last year’s rank of #35. So, why the fall from #35? Bicycling.com claims the lack of progress on the City’s Bicycle Transportation Plan, adopted in 2010, coupled with the increasing urban population, with little access to bicycle infrastructure, for the decrease. This year, the first 4.1 miles of the potentially 7.6 mile Wasson Way was purchased just prior to the release of the biennial list. The first phase implementation of the trail, which is scheduled for next year could positively affect the city’s standings in future rankings. However; future on-street connections to the new trail would further boost the city’s access to bicycle infrastructure. This could mean that our rank will increase in coming years. With 100,000 people living within one mile of Wasson Way, the potential for new cyclists and trail-servicing businesses are high and will undoubtedly affect the bike friendliness of the city. Plans are also underway to secure $21 million in funding to create 42 miles of bike paths, in order to connect Wasson Way, Oasis Trail, Mill Creek Greenway and the Ohio River Trail West. This project is known as Cincinnati Connects and if it passes, will further the city’s bikeability. 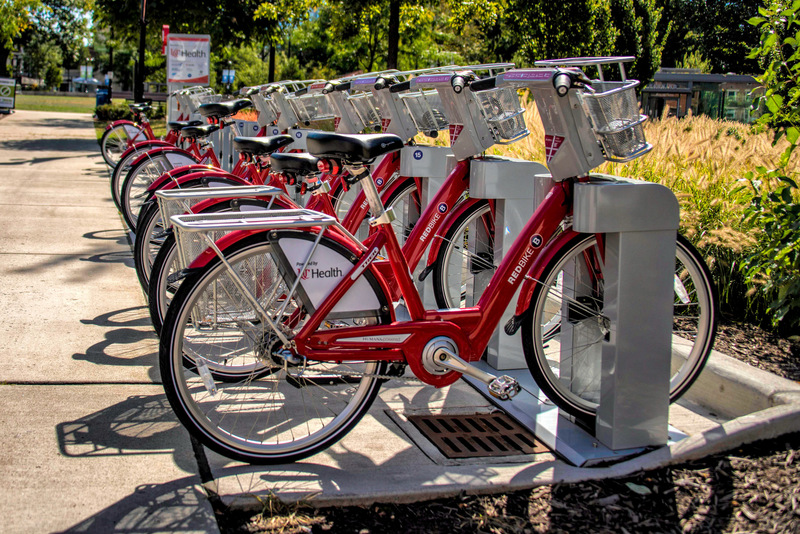 Additionally, Cincy Red Bike has been an ongoing success; their annual installation of new stations, since its inception in 2014, has added to the momentum of Cincinnati’s bike friendliness. Although change is afoot, Cincinnati still lacks the complete designation of being ‘bike friendly’ by its residents and outsiders, like those at the top of Bicycling.com’s list. When locals are asked about their view towards biking in Cincinnati, it’s still met by most with negativity: seen as an annoyance, while others are very concerned for their safety while cycling in the city. Cars still dominate the roadways, with some even parking in the bike lane along Central Parkway. With the new year around the corner, Cincinnati appears to be on a continued path to being a top bike-friendly city however; the following issues are key: residents being made aware of the benefits and safety of cycling; continued implementation of the 2010 Bicycle Master Plan; and policy changes that mirror those cities at the top of the biennial list.